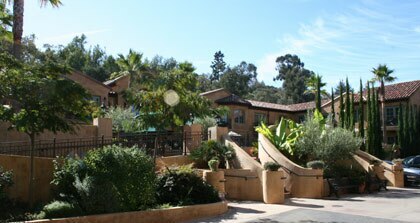 Hotel Los Gatos is reminiscent of a private villa complete with a lush terrace courtyard featuring Tuscan landscaping. Situated in the quaint historic community of downtown Los Gatos at the base of the Santa Cruz Mountains, the Hotel Los Gatos is the crown jewel of the Joie de Vivre Hospitality chain. Owned by Chip Conley, the 72-room hotel with its Mediterranean influences is small in size, but big on charm. Reminiscent of a private villa complete with a lush terrace courtyard featuring Tuscan landscaping, heated pool and hot tub, the intimacy of this top new hotel allows for a great deal of focus on guests’ individual needs, delivering great service, value and comfort. And while the hotel is designed primarily for individual guests—from tourists to those visiting local family and friends—the hotel can also accommodate small groups of business and corporate guests and can also cater weddings in the local area. The area has also become somewhat of a billionaires' Mecca, due to its close proximity to Silicon Valley. The Silicon Valley Auto Group boasts everything from Bentleys and Bugattis to Aston Martins and Rolls Royces. Hotel Los Gatos is a perfect jumping-off point to discover the region, from the downtown shopping area, walks and hikes along the Los Gatos Creek trail, to wine tastings at several local award-winning wineries. The area is also home to Manresa restaurant, highlighting the inventive cuisine of Executive Chef David Kinch. However, the hotel itself also boasts its own upscale restaurant: Dio Deka, with its signature Hellenic cuisine, complete with authentic Greek recipes. Chef Salvatore Calisi picks ingredients from the top local growers in the San Francisco Bay area. If you’re feeling slightly guilty after indulging in such sumptuous fare, your stay at the hotel also provides you free use of the nearby Los Gatos Athletic club, perfect for burning off those excess calories. And vacationing at Hotel Los Gatos would not be complete without a visit to the hotel’s world-class Preston Wynne Spa, popular with locals, tourists and visiting celebrities. Offering a myriad of treatments from detoxifying seaweed wraps and organic sugar scrubs, to collagen-infused facials and special men’s treatments using the spa’s signature products, you’ll find everything you need here for the ultimate experience in relaxation.